A bicyclist adorned in an absurdly tight, aerodynamic and pastel-colored outfit zips down Tramway Boulevard. An older couple sets out on a trail, meandering towards the Embudo Trail trailhead. A dog-walker ambles forward with her brown Labrador, stopping to sniff every last bush, tree and shiny object on the ground. The Bus #11 Lomas travels down Turner Drive with its one passenger, preparing to make its end-of-the-line U-turn and head West again on Lomas Boulevard. Is this the scene of a Norman Rockwell painting, set in 2018? No, this is just a description of Albuquerque’s residential foothill neighborhood Ciudad Vista on a typical Friday Afternoon. Despite its peaceful, suburban vibe, one of Ciudad Vista’s major draw is its conveniently accessible location. 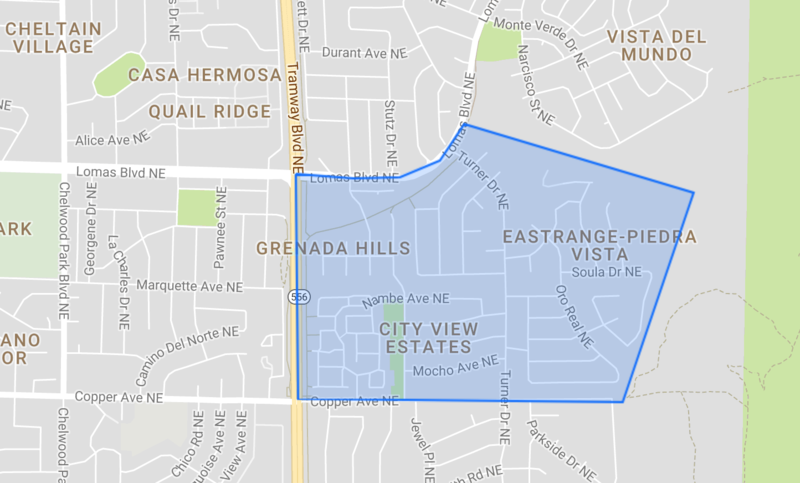 Greater Ciudad Vista is situated East of Tramway, West of the Sandia Mountains, South of Lomas and North of Copper, and it consists of the micro neighborhoods Grenada Hills, City View Estates and Eastrange-Piedra Vista. The ‘hood is a mere three minutes (maybe four?) from the entrance to Interstate 40, and the #11 bus travels the length of Albuquerque, making its U-turn on Turner, the central spine of Ciudad Vista. But perhaps the key to Ciudad Vista’s draw is in the name itself. In Spanish “ciudad vista” means “city view,” which is only part of the story. 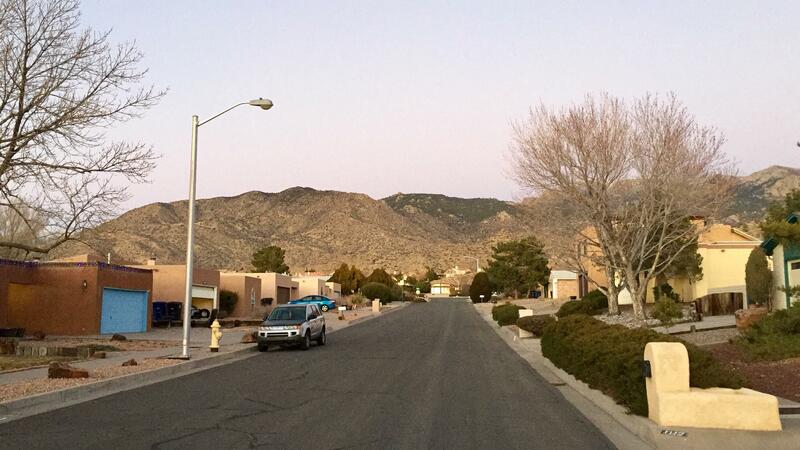 In addition to beautiful views of the twinkling city lights from many of Ciudad Vista’s homes, the area also attracts residents because of its mountain views, hiking paths and overall walkability. You will find it to be an absolute delight driving through Ciudad Vista, because the lion’s share of homes has a Southwest flair without being cookie-cutter. 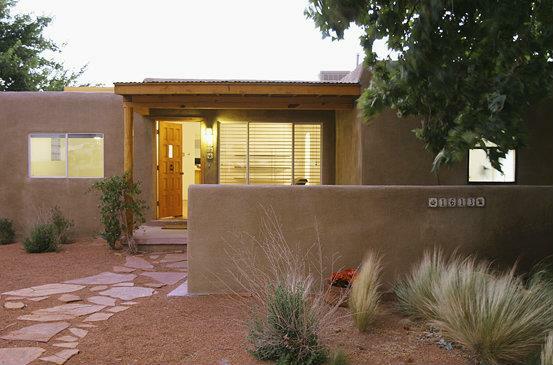 Most of the homes are single-story, and the architectural repertoire consists of Pueblo Style, Territorial Style, Northern New Mexico and then Brick Ranch. For these reasons Sutter of The Sugar Team decided to buy his own home in this wonderful neighborhood!